Willie Larry Randolph (born July 6, 1954) is an American former Major League Baseball second baseman and manager. During an 18-year baseball career, he played from 1975 to 1992 for six different teams, most notably the New York Yankees where he won back to back world titles against the Los Angeles Dodgers. He has joined ESPN as a postseason baseball analyst, beginning in September 2013. He will mainly be on Baseball Tonight, and provide updates during Monday and Wednesday night September network telecasts. At the end of his playing career, he ranked fifth in major league history in games at second base (2,152), ninth in putouts (4,859), seventh in assists (6,336), eighth in total chances (11,429), and third in double plays (1,547). Upon retiring as a player, he joined the Yankees as a coach for eleven years. He later served as manager of the New York Mets from 2005 to June 2008. Randolph grew up in Brooklyn, New York, and graduated from Samuel J. Tilden High School, where he was a star athlete and was drafted by the Pittsburgh Pirates in the 7th round of the 1972 draft. He made his major league debut in 1975, and was, at age 21, the sixth-youngest player in the National League. In December 1975 he was traded by the Pirates with Ken Brett and Dock Ellis to the Yankees for Doc Medich. Randolph spent 13 of his 18 seasons as a player with the Yankees and was co-captain of the Yankees with Ron Guidry from 1986 to 1988. He later played for the Los Angeles Dodgers (1989–90), Oakland Athletics (1990), and Milwaukee Brewers (1991), finishing his career with the New York Mets in 1992. He was selected to six All-Star teams over his career. As a career number 2 hitter in the order, he made use of his skills as bunter and a patient hitter who drew more than 80 walks seven times. Randolph was also an outstanding defensive player, known especially for his ability to turn the double play. However, he never received the Gold Glove Award, which was perennially awarded to his equally sure-handed and more acrobatic and wide-ranging contemporaries: Frank White of the Kansas City Royals and Lou Whitaker of the Detroit Tigers. He was the Yankees' starting second baseman on the 1977 and 1978 World Series Championship teams. In 1980 Randolph led the league in walks (119) and was second in the AL in on-base percentage (.427), eighth in stolen bases (30) and ninth in runs (99), and won the Silver Slugger Award at second base in the AL. He also batted .332 leading off the inning, and .340 with men in scoring position. In 1987 he batted .305 and led the league in at bats per strikeout (18.0), and was fourth in the AL in OBP (.411) and ninth in walks (82). He also batted .366 in tie games, and .345 in games that were late and close. In December 1988 he signed as a free agent with the Los Angeles Dodgers. Randolph led the Dodgers in battling average and hits in 1989, making his sixth All-Star team. In May 1990 he was traded by the Dodgers to the defending-world champion Oakland Athletics for Stan Javier. Later that year, Randolph and the A's won the American League pennant, but were swept by the NL-champion Cincinnati Reds in the World Series. In April 1991 he signed as a free agent with the Milwaukee Brewers. That year, Randolph was second in the AL on-base percentage (.424) and third in batting average (.327). He batted .373 with runners in scoring position. In December 1991 he signed as a free agent with the New York Mets. In 1992, at 37 years old he was the eighth-oldest player in the NL. In his last career game with the Mets, the team's second baseman of the future Jeff Kent moved to make his start at shortstop to allow Randolph to play his final game at second base. Randolph was a Yankees base and bench coach for 11 seasons, interviewing intermittently for managing jobs with other teams. In 2004, Randolph was named Mets manager for the 2005 season, despite never having managed before at any level of baseball. He became the eighth person to play for and later manage the Mets, joining Gil Hodges, Yogi Berra, Joe Torre, Bud Harrelson, Roy McMillan, Dallas Green, and Bobby Valentine (as well as interim manager Mike Cubbage). Randolph earned his first win as a manager on April 10, 2005, defeating the Atlanta Braves 2–1. The win halted a five-game losing streak to start the 2005 season. He then guided the Mets to five straight additional victories, giving the Mets their first six-game winning streak since August 2003. Randolph ended his first season as manager of the 2005 Mets with an 83–79 record, the first time the franchise had finished above .500 since 2001, and 12 games better than the prior season. That record got them a tie for third place in the National League East. In 2006, Randolph managed the Mets to a league-best 97–65 record (which also tied for the best record in the majors with the crosstown Yankees) and the NL East Division title (the team's first division championship since 1988). The Mets came within one game of reaching the World Series, losing the seventh game of the NL Championship Series to the eventual world champion St. Louis Cardinals. Randolph was the first manager in major league history to have his team's record improve by at least 12 games in each of his first two seasons (excluding seasons following strike-shortened seasons). He came in second place in the 2006 NL Manager of the Year voting, losing to Florida Marlins manager Joe Girardi. On January 24, 2007, Randolph signed a three-year, $5.65 million contract extension with the Mets. He had a club option for 2010 worth an additional $2.5 million. In 2007, Randolph was managing the Mets when they had one of the worst collapses in major league history. Holding a seven-game first-place lead in the NL East with only 17 games to play, the Mets finished 5–12 and lost the division to the Philadelphia Phillies, who went 13–4 in the same timespan. In 2008, Randolph's job security steadily decreased after a disappointing start to the season and inconsistent performance through mid-June. 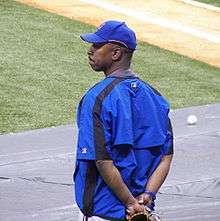 On June 17, 2008, less than two hours after the Mets' 9–6 road victory over the Los Angeles Angels of Anaheim, Randolph was fired, along with pitching coach Rick Peterson and first base coach Tom Nieto. He and his coaches were replaced by interim manager Jerry Manuel and coaches Ken Oberkfell, Dan Warthen, and Luis Aguayo. The team's record at the time of the firing was 34–35, which was 6½ games behind the Phillies in the National League East. After 2008, the Mets did not have another winning season until 2015. 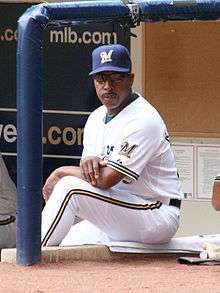 After the 2008 season, Randolph was interviewed by the Milwaukee Brewers for their managerial position. Although he was one of the three finalists, the job ultimately went to Ken Macha, and Randolph was given the bench coach position, which he held until November 2010. According to Brewers GM Doug Melvin, Randolph was asked to be Macha's bench coach because Randolph had experience managing against National League teams, versus Macha's American League experience. On November 23, 2010, Randolph was named as the final piece to Buck Showalter's coaching staff for the 2011 Baltimore Orioles. Randolph assumed the position of bench coach replacing Jeff Datz. In June 2011, Randolph switched places with John Russell, becoming Baltimore's third-base coach. Randolph and the Orioles parted ways after the 2011 season. On November 26, 2012, it was announced Randolph would be the third base coach in the World Baseball Classic for Team USA. On February 16, 2015, the Yankees announced that they would honor Randolph with a plaque in Monument Park on June 20, 2015. On October 21, 2015, Randolph was named as the manager of Team USA for the inaugural 2015 WBSC Premier12. Randolph currently resides in Franklin Lakes, New Jersey with his wife Gretchen. Randolph delivered the commencement address to Fordham University's 2007 graduating class, of which his daughter Ciara was a member. That same day, he managed the second game in a three-game series against the Yankees. ↑ "December 12, 1975". Google Newspaper. Retrieved August 11, 2014. ↑ "New York Mets Team History & Encyclopedia – Baseball-Reference.com". ↑ "2005 New York Mets Schedule, Box Scores and Splits". Baseball-Reference.com. ↑ "Randolph agrees to $5.65 million, three-year deal". ESPN. February 15, 2007. Retrieved October 1, 2008. ↑ Shpigel, Ben (October 1, 2007). "Mets Complete Stunning Collapse". The New York Times. Retrieved October 1, 2008. ↑ Peters, Ken (June 17, 2007). "New York Mets Fire Willie Randolph In Midnight Bloodbath". The Huffington Post. Retrieved October 1, 2008. ↑ "Randolph named bench coach". Milwaukee Journal-Sentinel. November 8, 2008. Retrieved November 8, 2008. ↑ Connolly, Dan (November 23, 2010). "Randolph's hiring as bench coach completes Orioles' 2011 coaching staff". The Baltimore Sun. Retrieved March 14, 2012. ↑ "Mariners announce all members of current Major League coaching staff returning in 2012" (Press release). Seattle Mariners. October 26, 2011. Retrieved March 14, 2012. ↑ "2013 World Baseball Classic coaching staff named". Retrieved January 28, 2013. ↑ "Yankees to retire numbers of Pettitte, Posada and Williams". Yahoo!. February 16, 2015. Retrieved February 16, 2015. ↑ Manuel, John (October 21, 2015). "U.S. Unveils Premier 12 Roster As Start Of Event Nears". Baseball America. Retrieved 5 November 2015. ↑ "Willie Randolph to deliver commencement address at Fordham University on Saturday, May 19". New York Mets. Retrieved June 20, 2015.